Though the drive-thru may seem like one continuous experience to customers, Solid and his team think about it in multiple stages, looking for innovation every step of the way. One of the ways they do this is by building full-scale mockups at the Chick-fil-A Headquarters in Atlanta and driving real cars through them (indoors). Seriously. This way, they can ensure the design and process is just right, even before testing ideas in live restaurants. 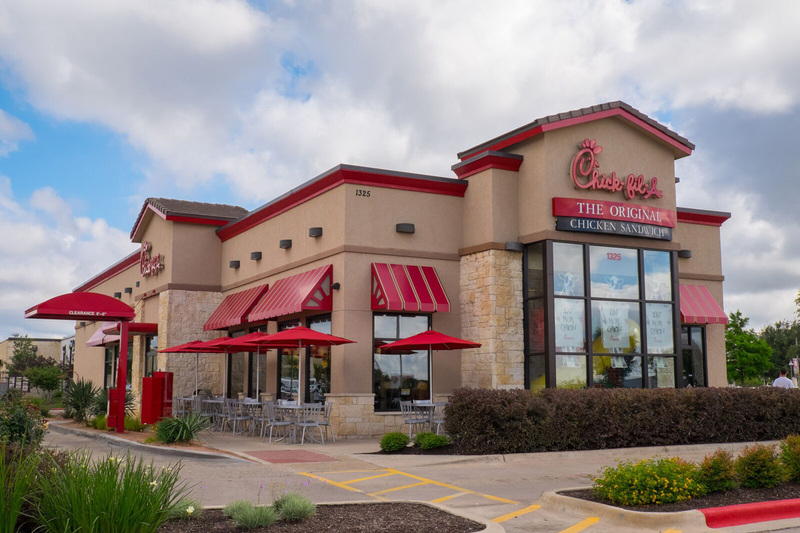 With most Chick-fil-A restaurants serving well over 100 cars in the drive-thru during peak hours, Solid and his team know that placing orders is an integral part of the drive-thru experience. That’s why customers often see Chick-fil-A employees walking the drive-thru line armed with tablets. The technology allows team members to go up to a customers’ window, take their order and relay it to the kitchen, all while maintaining one-on-one service. As the order-taker walks the line, another team member comes to the customers’ car to take payment, allowing cars to move through twice as fast as they do at a traditional speaker box drive-thru. Chick-fil-A calls the system “face-to-face ordering”. Face-to-Face Face Ordering, like many drive-thru innovations, was first developed by Chick-fil-A franchised Operators and then refined by Solid and his team. 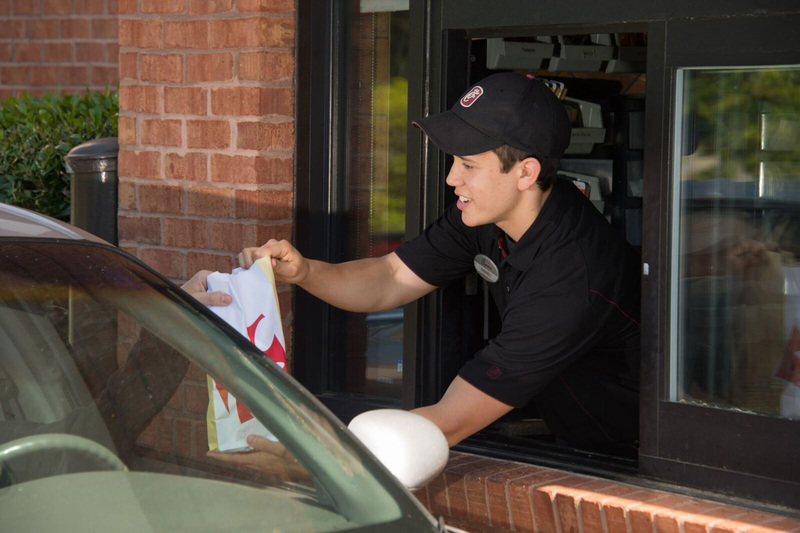 But drive-thru innovation doesn’t end with the technology team members use – it even extends to the uniforms they wear. To ensure team members working in the drive-thru line are comfortable in any weather, Chick-fil-A has partnered with clothing brands that design military-spec cooling vests and moisture-wicking uniforms for the summer, thermal options for the winter and more. Solid and his team are also working on additional ways to keep team members protected from the elements throughout the year. Speed isn’t everything. Solid and his team know customers want accuracy as well. To ensure customers get what they ordered, team members also take detailed descriptions of cars while they’re placing orders. “This way the kitchen knows what food orders to make first, and the cashier knows who to get payment from,” says Solid. When restaurants have two drive-thru lanes, the descriptions of cars help team members know exactly who should receive what food order at the window, regardless of the order in which cars merge. Even with the majority of Chick-fil-A’s customers already choosing the drive-thru, Solid believes this number will grow in coming years. So, what does the drive-thru of the future look like? You can even download the Chick-fil-A One App and take your drive-thru experience to a whole new level. Guests all across the country now have the ability to order their meals through the app and pick them up in the drive-thru instead of going into the restaurant.